Thank you for attending the 41st Annual Wellness and Recovery Summit! Your evaluations are available based on your documented attendance in sessions at the Summit. Attendance reports will be uploaded daily, and a general evaluation will be made available after the Summit. When you have completed all of your evaluations, you will be able to view/print/download CE Certificates across all available CE types. Some CE types may not have been approved for certain sessions, so you may see some variation in the number of credits awarded on each certificate. If you do not evaluate a session, it will not appear on your certificate. If you believe something is missing or appearing in error, please email breach@psychrehabassociation.org with as much detail as possible, and allow us a week or two (we'll try to make it much faster) to take a look at your scan history to see what may be going on, and to correct the error. We hope you find this process much more user-friendly than in the past, if this isn't your first Summit. Please take this time to check out our online course offerings (under Academy - Online Courses), to renew your membership (under My Profile), and to learn about CPRP and/or CFRP certification (under Certification)! We're so glad you were able to join us in Denver, and hope to see you again soon! PLEASE NOTE: These statements reference the maximum amount of CE available for participating in the Summit, including Pre-Conference Institutes, which require an additional fee to attend. The specific amount of CE available for participation in each Pre-Conference Institute is also referenced below each statement. Please click here for information about the Pre-Conference Institutes, as well as the CPRP Prep Course. The Academy of Psychiatric Rehabilitation and Recovery is an AOTA Approved Provider (#6975) of continuing education. A maximum of 2.2 AOTA CEUs (equivalent to 22 clock hours) may be earned at the 41st Annual Wellness and Recovery Summit. The assignment of AOTA CEUs does not imply endorsement of specific course content, products, or clinical procedures by AOTA. *PLEASE NOTE the number of AOTA CEUs listed above includes Pre-Conference Institutes: a maximum of 0.5 AOTA CEUs (equivalent to 5.0 clock hours) may be earned at the Transition-Age Youth and Young Adults Pre-Conference Institute. A maximum of 0.6 AOTA CEUs (equivalent to 6.0 clock hours) may be earned at the Innovative Practices in Recovery-Based Community Mental Health Pre-Conference Institute. APA CE is available to Summit attendees through a co-sponsorship between the Academy for Psychiatric Rehabilitation and Recovery and Drexel University College of Medicine, Behavioral Healthcare Education. Drexel University College of Medicine, Behavioral Healthcare Education is approved by the American Psychological Association to sponsor continuing education for psychologists. Drexel University College of Medicine, Behavioral Healthcare Education maintains responsibility for the program and its content. This program is being offered for up to 20.0 hours of continuing education. 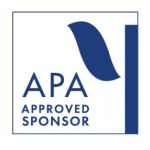 APA Credit is available through a Co-Sponsorship with Drexel University. Drexel charges an additional $35 fee per person, so in order to receive APA credit, you will need to both email the signed APA form received after completing these evaluations (the APA option under "Certificate" after completing this evaluation) to info@psychrehabassociation.org, and pay a $35 fee by August 20, 2018 by going to the PRA store and searching "APA," or by clicking here. The number of CE hours referenced above includes Pre-Conference Institutes: The Transition-Age Youth and Young Adults Pre-Conference institute has been approved for up to 4.50 hours of continuing education. The Innovative Practices in Recovery-Based Community Mental Health Pre-Conference Institute is approved for up to 6.0 hours of continuing education. The Academy of Psychiatric Rehabilitation and Recovery, provider # 1170, is approved as a provider for social work continuing education by the Association of Social Work Boards (ASWB – www.aswb.org) through the Approved Continuing Education (ACE) Program. The Academy of Psychiatric Rehabilitation and Recovery maintains responsibility for the 41st Annual Wellness and Recovery Summit (ASWB Approval Period: 5/25/2018-5/25/2021). Social workers should contact their regulatory board to determine course approval for continuing education credits. Social workers participating in the 41st Annual Wellness and Recovery Summit will receive up to 21.5 continuing education clock hours. PLEASE NOTE: The number of clock hours referenced above includes Pre-Conference Institutes: Social workers participating in the Transition-Age Youth and Young Adults Pre-Conference Institute will receive up to 4.5 continuing education clock hours. Social workers participating in the Innovative Practices in Recovery-Based Community Mental Health Pre-Conference Institute will receive up to 6.0 continuing education clock hours. 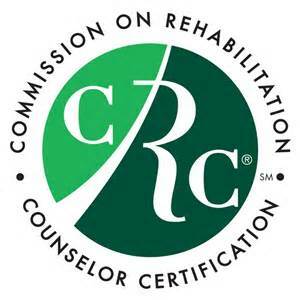 The Academy of Psychiatric Rehabilitation and Recovery, has been approved by the Commission on Rehabilitation Counselor Certification (CRCC) to provide continuing education for rehabilitation counselors. The 41st Annual Wellness and Recovery Summit is approved for up to 23.00 clock hours (Approval Number TRN2270725). For information regarding session-level approval and/or domain categorization, please refer to the sessions section of the Summit Website or Mobile App. PLEASE NOTE: The number of clock hours referenced above includes Pre-Conference Institutes, and does not account for their mutual exclusivity - the maximum number of clock hours achievable based on our registration restrictions is 22.25. Rehabilitation counselors participating in the Transition-Age Youth and Young Adults Pre-Conference Institute will receive up to 5.25 clock hours; rehabilitation counselors participating in the Innovative Practices in Recovery-Based Community Mental Health Pre-Conference Institute will receive up to 6.0 clock hours. The 41st Annual Wellness and Recovery Summit has been approved by the Academy of Psychiatric Rehabilitation and Recovery, as a NAADAC Approved Education Provider, for up to 22.25 CE. NAADAC Provider #100174, the Academy of Psychiatric Rehabilitation and Recovery is responsible for all aspects of their programming. PLEASE NOTE: The number of CE referenced above includes Pre-Conference Institutes: The Transition-Age Youth and Young Adults Pre-Conference institute has been approved for up to 5.25 CE. The Innovative Practices in Recovery-Based Community Mental Health Pre-Conference Institute is approved for up to 6.0 CE. 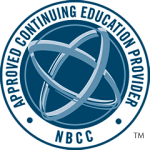 The Academy for Psychiatric Rehabilitation and Recovery has been approved by the NBCC as an Approved Continuing Education Provider, ACEP No. 6340. Programs that do not qualify for NBCC credit are clearly identified. The Academy for Psychiatric Rehabilitation and Recovery is solely responsible for all aspects of the 41st Annual Wellness and Recovery Summit. We are happy to provide NBCC-approved continuing education to professional counselors who are NCCs, LPCs, LNHCs, LCPCs - as well as other state credentialed counselor titles (please check with your state regulations and/or boards to determine course approval). The 41st Annual Wellness and Recovery Summit has been approved for up to 22.25 NBCC hours. PLEASE NOTE: The number of NBCC hours referenced above includes Pre-Conference Institutes: The Transition-Age Youth and Young Adults Pre-Conference institute has been approved for up to 5.25 NBCC hours. The Innovative Practices in Recovery-Based Community Mental Health Pre-Conference Institute is approved for up to 6.0 NBCC Hours. The 41st Annual Wellness and Recovery Summit is approved for a maximum of 22.25 contact hours of continuing education in psychiatric rehabilitation and recovery. CPRPs and CPRP candidates should only claim credit commensurate with their participation in the activity. PLEASE NOTE: The number of contact hours referenced above includes Pre-Conference Institutes. The Transition-Age Youth and Young Adults Pre-Conference Institute is approved for a maximum of 5.25 contact hours of continuing education in psychiatric rehabilitation and recovery. The Innovative Practices in Recovery-Based Community Mental Health Pre-Conference Institute is approved for a maximum of 6.00 contact hours of continuing education in psychiatric rehabilitation and recovery. Those participating in the CPRP Prep Course may earn up to 13.5 foundational contact hours toward the training & education requirements to sit for the CPRP Exam, and up to 13.25 contact hours from non-concurrent general Summit programming. The 41st Annual Wellness and Recovery Summit is approved for a maximum of 20.5 contact hours of continuing education in child and family resiliency and recovery. CFRPs and CFRP candidates should only claim credit commensurate with their participation in the activity. PLEASE NOTE: The number of contact hours referenced above includes Pre-Conference Institutes. The Transition-Age Youth and Young Adults Pre-Conference Institute is approved for a maximum of 5.25 contact hours of continuing education in child and family resiliency and recovery. The Innovative Practices in Recovery-Based Community Mental Health Pre-Conference Institute is approved for a maximum of 3.00 contact hours of continuing education in child and family resiliency and recovery.